I am fascinated by how God uses people with mental illnesses. One of the persons I am studying is John Sung, a famous Chinese evangelist in South East Asia and China during the Twentieth Century. I have written a paper on John Sung and his mental illness and had presented it at The Society of the Study of Christian Spirituality Conference in the University of Notre Dame a few years ago. I have been meaning to rewrite the paper for publication but have not got around to it yet. I came across some new insights at “The Biographical Dictionary of CHINESE Christianity. According to his testimony, he continued to read broadly; translated the Dao De Jing into English, and exploring philosophy and history on his own. He was at first influenced by his theologically liberal teachers, but everything changed – again, according to his testimony – when he underwent a dramatic conversion while attending evangelistic meetings in January, 1927. He also said he was born again on February 10 of that year. Fully transformed, Song zealously evangelized his professors, warning them of eternal punishment if they did not repent. They were not amused, and had him locked up in an insane asylum, where he proceeded to read the Bible through at forty times in seven months. He was released through the efforts of an American pastor, and returned to China in 1927. That is the story which has come down from Song and his biographers, especially Leslie Lyall. Recent research, based partly on reliable archival materials from Union Theological Seminary, paint a different picture. It seems that Song really did suffer some sort of psychological breakdown, leading to hallucinations, strange dreams, visions, and bizarre behavior, including impenetrable letters and diagrams. Having been diagnosed as psychotic by three psychiatrists, he signed the self-admittance form to Bloomingdale Hospital in White Plains, New York. My personal diagnosis is that John Sung suffers from Manic Depressive Psychosis. While in the mental hospital, he became obsessed with a female goddess, “Shenmu, the Queen Mother,” whom he variously called, “Mary, Mother of Jesus, Queen of Queens,” “Mary Magdelen, Mother of Christ,” or simply, “Goddess.” On April 4, 1927, he “married” her in a ceremony that included a “holy kill and holy union.” His diaries contain messages that he purportedly received from her. Later, he ceased writing and filled his diaries with complicated digrams and graphs that supposedly showed the correlation between the Gospels and radio waves….Song returned to China instead of resuming classes at Union. One of the first things he did was to visit the temple of Guanyin, a Buddhist figure sometimes merged with the Taoist Queeen Mother of the West. This part about his mental illness seemed to suggest that he had schizophrenia. The material about his association with Quan Yin, the Daoist Goddess of Mercy was new to me. However, this does not deter me from believing that God uses people with mental illness for His purpose. My thesis is that not only use God uses people with mental illness, He uses the mental illness itself. Otherwise, how do we explain how in his short 12 years of active ministry, John Sung did more for Christianity than most people did in a lifetime. 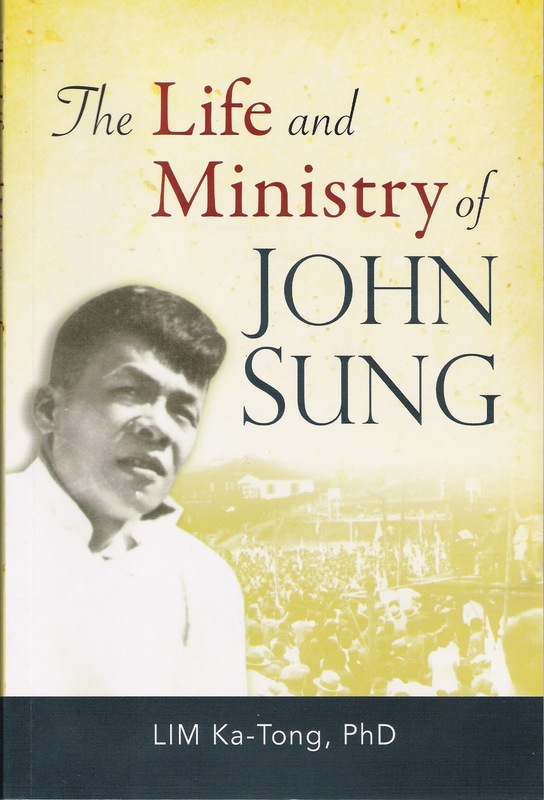 In that 12 years, John Sung empowered the churches in South East Asia by visiting them in at least three tours, and also laid the foundation for the churches in China in his travels around the country that enable the churches to survive the Communist takeover. This could be the manic energy from his mental illness that allowed him to preach three times a day and five times on Sunday for months at a time! Below you’ll find our collection of classic pieces from Christianity Today’s publications on John Stott and his legacy. Read Christianity Today‘s full obituary here. John Stott reflects on where we’ve been and where we’re going. In this cover story from 1996, evangelicalism’s premier teacher speaks on gender, charismatics, leaving the Church of England, the poor, evangelical fragmentation, Catholics, the future, and other subjects. Less known than Stott’s earlier work is his ministry with Langham Partnership International. Karl Barth made the cover of Time magazine on April 20, 1962. 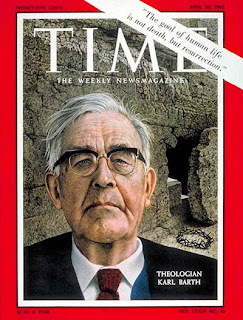 In the 20th century, no man has been a stronger witness to the continuing significance of Christ’s death and Christ’s return than the world’s ranking Protestant theologian, Swiss-born Karl Barth (rhymes with heart). Barth knows that the Gospel accounts of the Resurrection are not coherent, but he refuses to make the mystery more palatable to human reason by suggesting—as did the great 19th century Theologian D. F. Strauss in his Life of Jesus—that the story of the crucifixion is a “myth.” Instead, Barth argues that the subject of this unique event is God, not man; and only God can know the full truth of his own history. Man’s only road to understanding of this divine history is through faith—faith in the reality and truth of what the Evangelists so incoherently describe. These are fighting words and so very true.